You enter your luxury high-rise apartment, toss your keys on the kitchen counter, kick off your shoes, and pour an adult beverage. With your drink in one hand, you sit down on the sofa and begin to sort through the bundle of mail in your other hand into two stacks. Stack one includes a medical bill, a bank statement, and a PEPCO invoice. Stack two contains a sheaf of grocery store advertisements, a request for a political donation, and an invitation to spend three nights and two days in sunny Florida if you’ll only listen to a short presentation when you get there. And then you see it — the note from the management company reminding you that your lease will be up at the end of the year. You scan the letter and there in paragraph three is the amount your rent will rise if you sign another lease. “That’s outrageous,” you say as you pick up the phone and call a few friends to get recommendations for real estate agents. Interview a few of those agents to ascertain which one is a good match. It’s sort of like swiping left or right but face-to-face. You’ll want to discuss each agent’s background and area expertise. You’ll also need to talk about how the two of you will communicate. This is your opportunity to ask questions and really get to know him, so you can rely on his counsel throughout the process. Next, you’ll need to determine your purchasing power by speaking with a mortgage loan officer. She will provide you with options, see if there are any special loans or grants you may be eligible for, and pre-approve you for a mortgage based on your income, debt load and credit score. Spend your money wisely. Look at purchase price, interest rates and monthly payment (including principal, interest, property tax, and insurance) to determine how much you are comfortable paying for housing. In addition to funds for your down payment and closing costs, set aside some money for any one-time charges such as move-in fees, deposits for setting up utility services, and the cost to transport your household goods to the new location. Scout neighborhoods on your own. You may have heard of Capitol Hill, Georgetown and Dupont Circle, but can you find Hillcrest, Deanwood, or Kent? D.C. has many neighborhoods and your agent may know of a few that you might not have considered. As part of the culling process, visit each neighborhood at night and on weekends, talk with neighbors, check out the local dining and shopping scene, and test your commute in real time. Create a wish list to share with your agent. 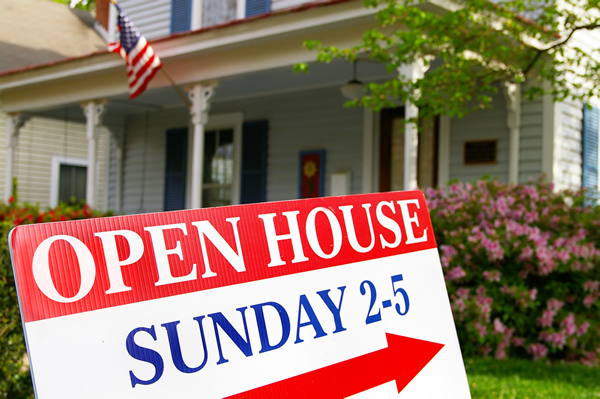 Attend open houses to get a sense of what your money can buy in each neighborhood you like. Be realistic and keep an open mind when viewing homes. Remember that there is no such thing as a perfect house. Give your agent honest feedback about what you liked and disliked about each home you visit, to help him understand your preferences and select homes that may be more to your liking. Keep emotions under control. Buying a home is a very stressful process so let your agent be the intermediary with a cool head. If she accompanies you to an open house that you really love, wait until you’re out of earshot of the host agent to shout, “I want it! I want it!” If a seller doesn’t respond to your offer as you anticipated, don’t feel hurt or angry. Trust that your agent will be working diligently on your behalf to negotiate the best possible deal and will consult with you whenever a decision is required. Get a home inspection and pay special attention to items that the inspector says are costly or unsafe. Your contract may allow you to ask the seller to make repairs or provide a monetary credit at settlement, so you can take care of the items yourself. You might also be able to void the contract and run for the hills if you’re unhappy with the inspection results. Once you complete settlement and get the keys to your new home, take a few safety precautions. Change the locks on entrance doors and investigate installing one of today’s telephone-linked security systems. And if you feel the need for additional security, I’ll send you an MP3 of the sound my dogs make when UPS delivers a package. That’ll scare any burglar away.